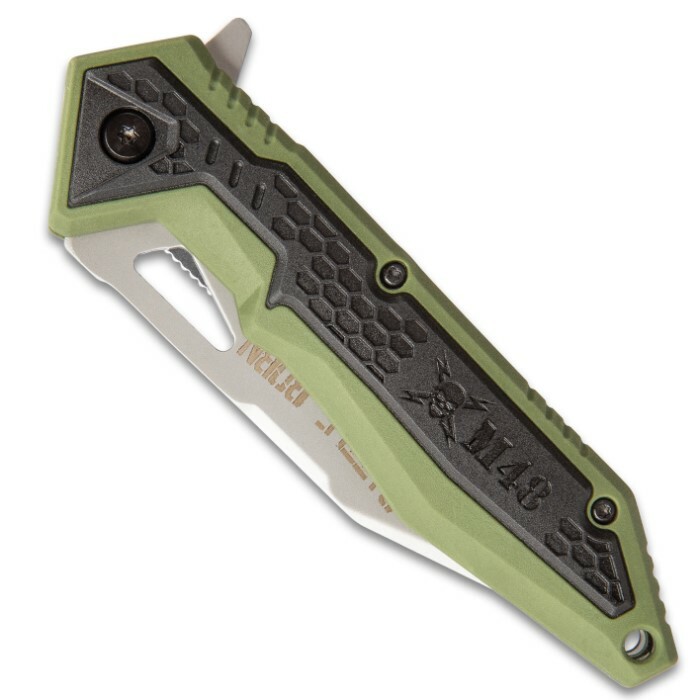 M48 Battle Born Pocket Knife - 8Cr13 Stainless Steel Blade, Olive Drab TPR Handle Scales, Ball Bearing, Pocket Clip | BUDK.com - Knives & Swords At The Lowest Prices! 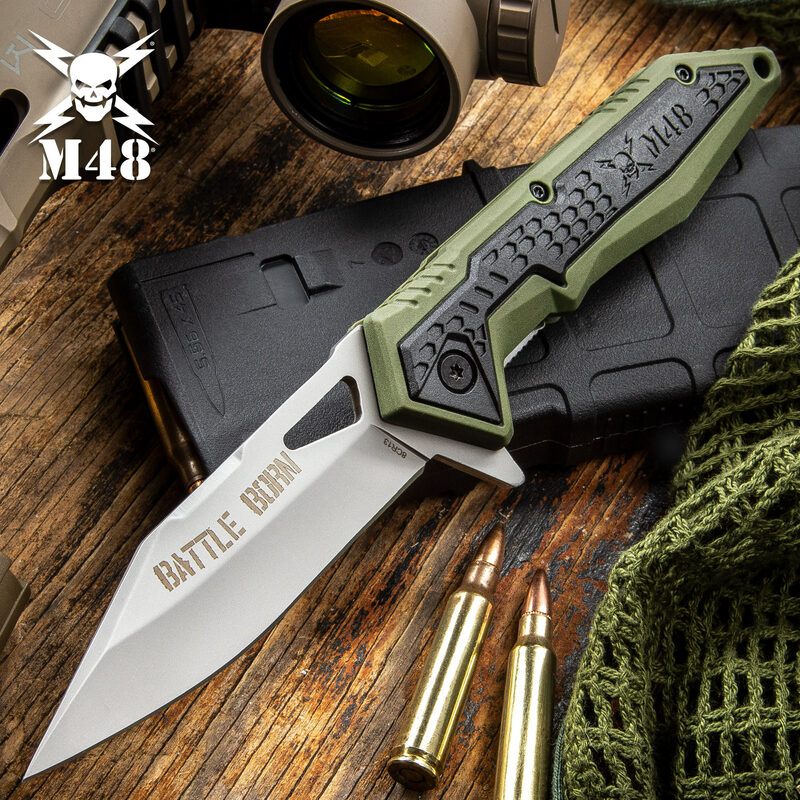 Our M48 Battle Born Pocket Knife is the constant companion you’ve been looking for to see you through the mission, whether at home or on foreign shores. 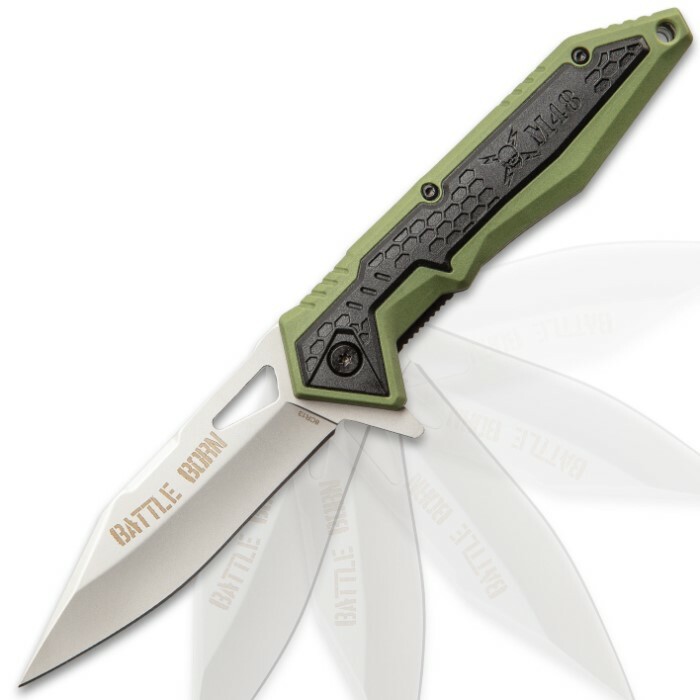 It has a 3 1/2”, razor-sharp 8Cr13 stainless steel blade that has a penetrating point and it features the “Battle Born” etch to assure you that it’s up to any challenge. The smooth moving ball bearing makes the blade easy to quickly deploy in any situation, using the flipper and just a flick of the wrist. 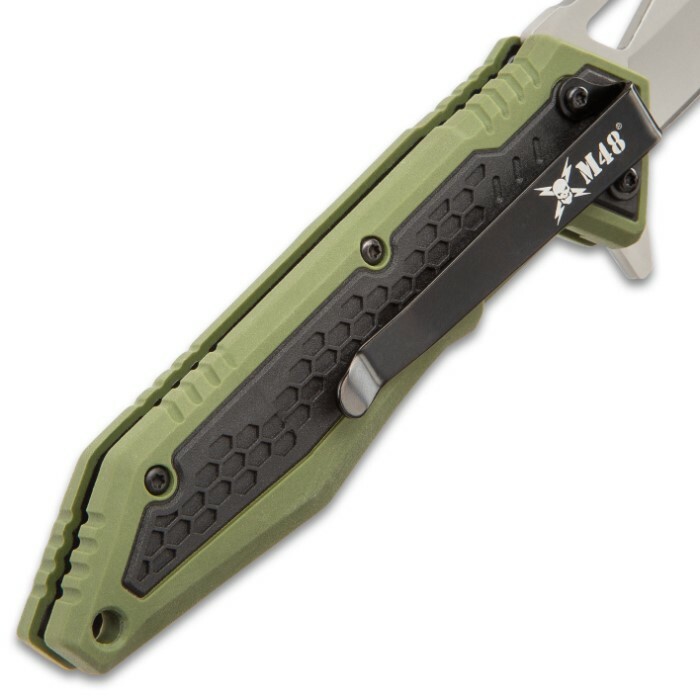 The olive drab TPR handle scales are grippy with their black TPU, textured inserts and specifically placed ridges on the edges. 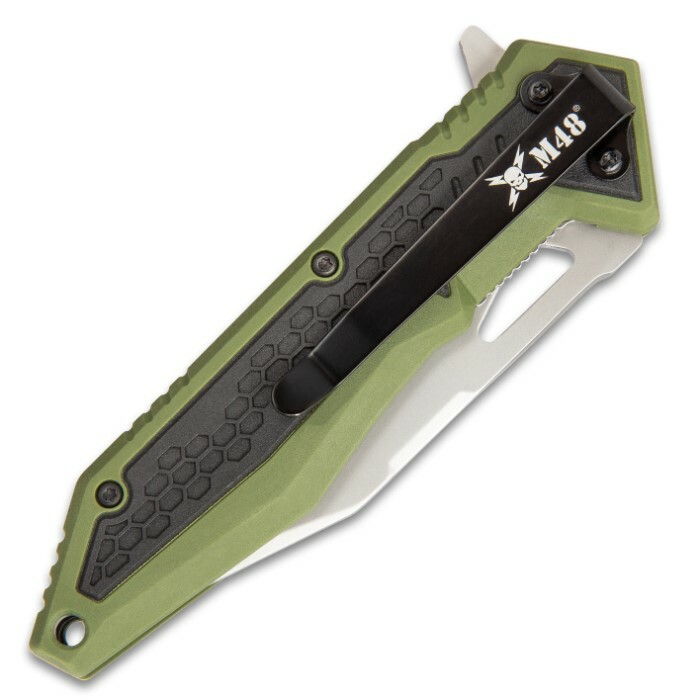 The pocket knife is 4 3/4”, when closed, and has a sturdy metal pocket clip, with the iconic M48 logo, for ease of carry.